Our São Paulo Technology Center has been quite active with members over the last weeks. Luiz, our SPTC service technician, is engaged in a week long MASS service session with one AMT member company. 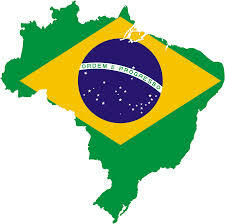 Luiz and a representative from the member company will visit 10 companies for branding in Brazil. After getting good sales calls during the Feimafe show, our SPTC leveraged new opportunities by researching various markets for this company, activity that boosted its engagement in the warehousing service. Now working on the clearance of its first shipment to Brazil, our SPTC will support our member throughout the entire process, beginning with exporting to Brazil all the way through to invoicing end-­‐users. Warehousing service capability has been one of the reasons for many companies to target Brazil. One member is working on costs to keep items warehoused with the SPTC, while it focuses on increasing share of products. This particular company got very interesting feedback after Feimafe and new business opportunities have come up since it mentioned the possibility of making products available in a shorter period of time than having to ship from the U.S. every time an order is processed. Another member has also expressed interest in engaging warehousing service. The company Vice President recently visited our faciliy with his staff to get to know our center and see how we can contribute to the success of the company. Playing in the market for 25+ years, this member is interested in expanding and growing business, especially in the sense of making products available more quickly through SPTC. Technical and MASS services are also possibilities since they are already recording a good volume of sales in various segments, from northern Brazil to the extreme south. This company is also evaluating participation in trade shows with AMT, with our service staff supporting the company in trade shows. Another member requested that we once again to work on a visit to Embraer, one of the largest air jet manufacturers in the world. Already doing some good business with them, this company is interested in growing market share and creating new opportunities among the various airlines in Brazil and requested our help to collect market data. Embraer keeps growing and recently announced a very big order that will certainly attract the interest of AMT members interested in playing in the aerospace segment. On the consultancy sphere, our SPTC is now preparing for the two Market Penetration Sessions scheduled for the coming months. Those will be great opportunities to show these members that our experience can add great value to their business, not only when they are starting out as one company is doing, but also when they deliver years of experience as is the case with the other company. I am pleased to report that our SPTC recently welcomed our 10th member. The company decided to engage SPTC to proxy-­‐hire a project manager who will be dedicated to a project under development for Vale, one of the main companies playing in the mining segment in Brazil. This company also has good potential with Alston and GE, especially after the announcement of a $53 B investment in renewing the railway system in Brazil. The company may also engage our service technician in installation in a near future, when the first two machines (out of 12) are shipped to Vale in São Luis, Maranhão. Stay tuned. I’ll be glad to report news about SPTC in a couple weeks.